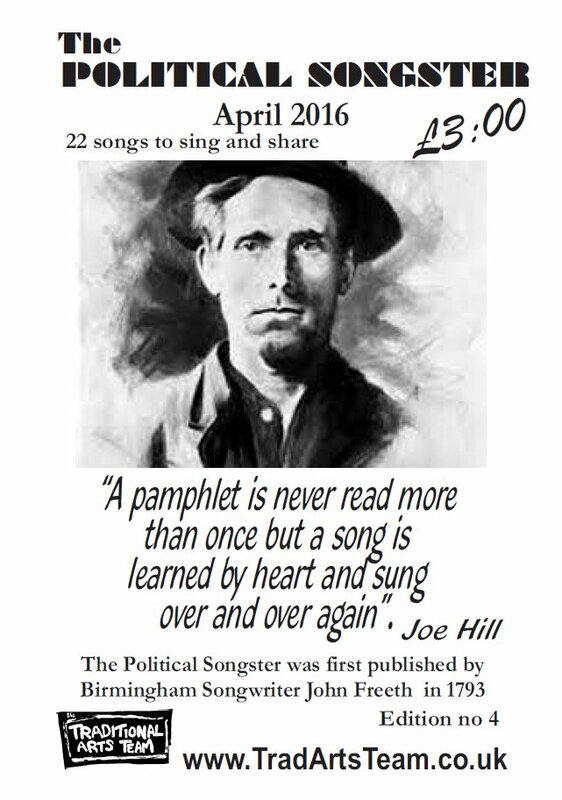 Our Political Songster is published and sold at the sessions whenever we have enough songs to bring out a new issue. It is easy to give up, to get disillusioned, disenchanted, despairing. It is easy to blame the dream and say it is unachievable when it is really the dreamer at fault. We have heard it said by many that protest singers are just singing to the converted. Even if this were so, what's wrong with that? Do not the converted need encouragement and sustenance as we batter our minds and bodies against the walls of the system? Who brings this accusation against those who gather weekly in churches to sing of their hopes and beliefs? We strengthen each other by singing together and express our single purpose in song. The converted do have the solace of group activity: demonstrations, meetings, jail. We also find ourselves alone and still need reminders of that group. When you are on your way home, going shopping, taking a bath, putting the kids to bed, cooking, washing, sitting at your computer, whatever: it is good to remember that song, that chorus. The converted need to remember that the powers of creation are on OUR side, because it is those powers that are going to bring about the change that is coming. If we can create songs we can bring about a good and fair society. If we can beat the sense of isolation we can beat Cameron and his banker cronies. Those that sing together can fight together.